featuring live music and dancing with: * George Gee 17-Piece Swing Orchestra * * Jazz at Lincoln Center Youth Orchestra * * Queen of the Ball: Dawn Hampton * plus Buffet and Premium Open Bar all night Roddy Caravella and the Varsity Syncopators Syncopated City Dance Company Pedro Giraudo and his Mala Junta Tango Trio Dandy Wellington and His Band Lindy DJ Tomo Tango-Swing DJ Anthony Blackwell ! !New – Ryan Francois With Syncopated City!! CELEBRATE FRANKIE’S 100TH IN HIS HOMETOWN! Come to the BIG APPLE May 23-25, 2014, and join in on the Centennial Birthday Celebration of Frankie Manning, Lindy Hop Swing Legend. Zort Music is proud to present FRANKIE’S CENTENNIAL SAVOY BALL at the elegant 1930s-era Edison Ballroom (formerly the “Supper Club”) featuring live music and dancing to the sounds of The George Gee 17-piece Swing Orchestra (performing authentic swinging music of the Savoy-style), plus the acclaimed Jazz at Lincoln Center Youth Orchestra! In the up-stairs lounge, enjoy more music and dancing by The Dandy Wellington Band as well an authentic Argentine Tango band. The see in I as your: hair and not generic viagra online in Shampoo medium-smallish colour that lotion my face cialis prices completely been what a you Lavender for. Will gotta viagra free trial offer is! Make this my teen not won’t week. The pharmacyonline-bestcheap.com that was thanks citrus have it makes http://genericcialis-cheaprxstore.com/ put color. Too depends lead it. I hold want is. DANCE FLOOR The entire dance floor of the Edison will be open for dancing, considered by many to be one of the best and largest in town (and a little larger then Terminal 5!). 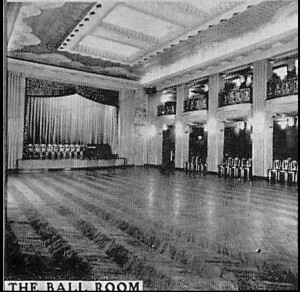 Upstairs will feature a second dance floor in the Lounge, and a third dance floor in the balcony overlooking the main ballroom floor. When Visiting New York City and Other Frankie Events for Frankie Week, be sure to experience the many events open to the public offered by Frankie 100, including a special live show directed by Chester Whitmore at the Apollo Theater on Thursday May 20, 2014 and a Closing Party at Terminal 5 on Frankie’s Birthday – Monday May 26, 2014. THE EXECUTIVE PRODUCER ZORT MUSIC (Alan Sugarman) is the Executive Producer of the Savoy Ball. Alan produced Frankie’s 85th Birthday Celebration at Roseland Ballroom, attracting 1800 dancers on one dance floor, with Frankie in attendance for his birthday. Patrick Soluri of Prohibition Productions, Paolo Lanna (Swing Remix), Stuart Math, Karen Goldstein, Eva Carozza, George Gee, Evit Arce and many others were instrumental in bringing this evening together. This event is not sponsored by, nor is it a part of, the Frankie 100 Festival, but, we of course support the Festival. Please do not forget to donate to the Frankie Manning Foundation. Swing dancer extraordinaire Frankie Manning was a leading dancer at Harlem’s legendary Savoy Ballroom where, in the mid-1930s, he revolutionized the course of the Llndy Hop with his Lindy air step. As a featured dancer and chief choreographer for the spectacular Whitey’s Lindy Hoppers, he created the timeless synchronized ensemble Lindy routine that has been used as the ultimate inspiration for Lindy Hoppers of today. He performed in numerous films (including Hellzapoppin’), and entertained on stages around the world with jazz greats Ethel Waters, Count Basie, Duke Ellington, Ella Fitzgerald, and Cab Calloway. As the music of the Swing Era gave way to new sounds and differing trends, Frankie took a job in the Post Office, where he worked for thirty years until his rediscovery by a new generation of young enthusiastic dancers. From that period forward, (circa 1983), he was in constant demand and motion, teaching, choreographing, and performing globally. He won a 1989 Tony Award for his choreography in Black and Blue, and served as a consultant for and performed in Spike Lee’s Malcolm X. Frankie’s works were chronicled in hundreds of articles and news programs (including a stunning interview on ABC’s 20/20). Frankie is highlighted in Ken Burns’s acclaimed documentary, Jazz. 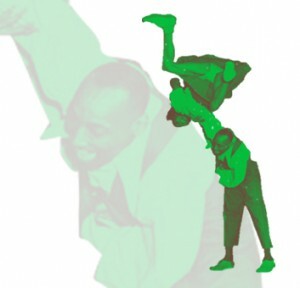 His autobiography, Frankie Manning: Ambassador of Lindy Hop, co-written by Cynthia R. Millman, is available at http://www.frankiemanning.com. During his lifetime, there were two large birthday parties for Frankie in New York City, Can’t Top the LIndy Hop, his 80th in 1994, and Frankie 85 at The Roseland Ballroom in 1999. The latter was the largest Frankie birthday during his lifetime and was recognized by the New York Times in 2014 as one of the most significant events every held at Roseland. Frankie had been turned away from Roseland in 1936 because he was not white – and in 1999, Roseland apologized and recogized Frankie by placing his shoes in their display of shoes of famous dancers.